Very simple and casual outfit post today. I have on a beautiful subtle rose pattern woven white top with light denim shorts. 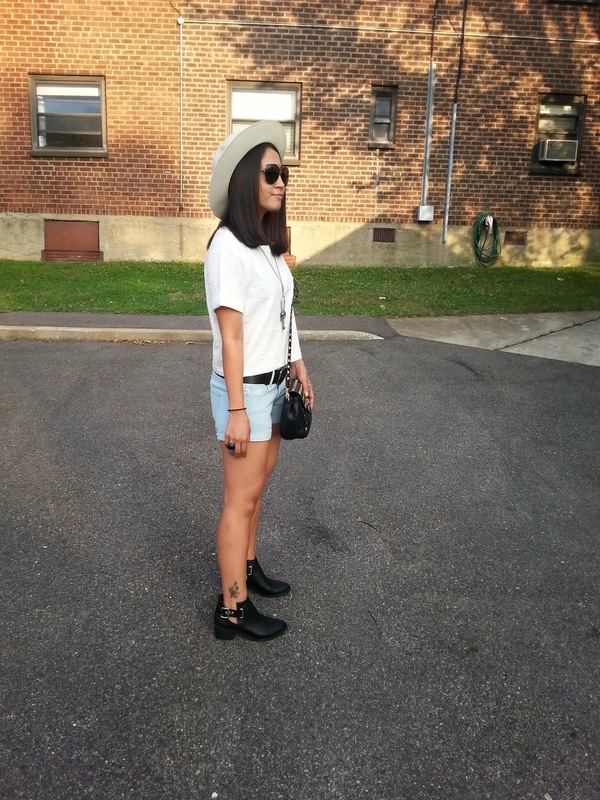 Paired my outfit with black ankle cutoff booties. Cutoff booties are perfect for fall. You can wear them with socks or without. I prefer to wear them without socks for now, late fall will be a different story. 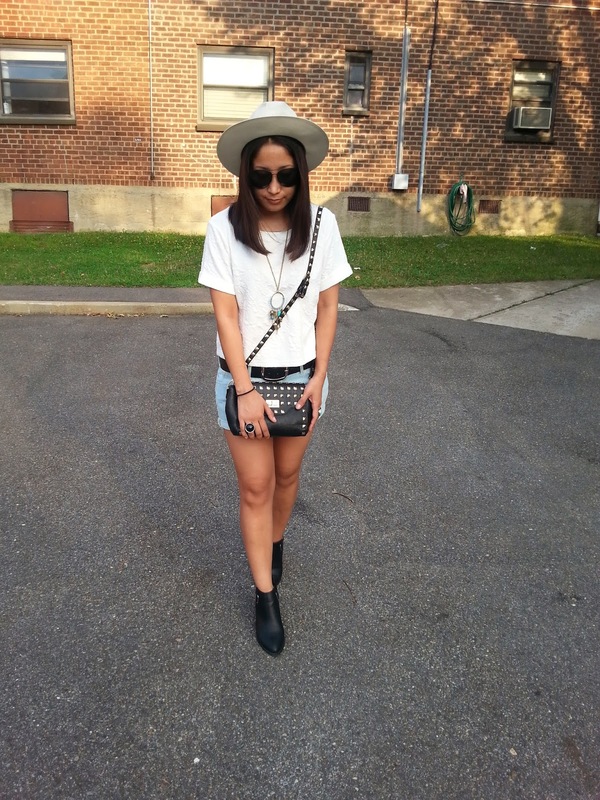 Carrying my studded black cross body bag and a hat to avoid a little sun. Added accessories to complete my ensemble. A ha ha, love the quote! Great quote! Perfect look!!! You are super stylish!!!! booties, bag and all that jewelry... totally in love!! The accessories are really perfectly chosen for this outfit. Loving the casual chic outfit on you. Awesome booties! Lovely blog here btw! Would you like to follow each other on GFC? Please let me know on my blog so I can follow back. Thank you. Wanna follow each other? I am already following you via gfc. You have a lovely blog. 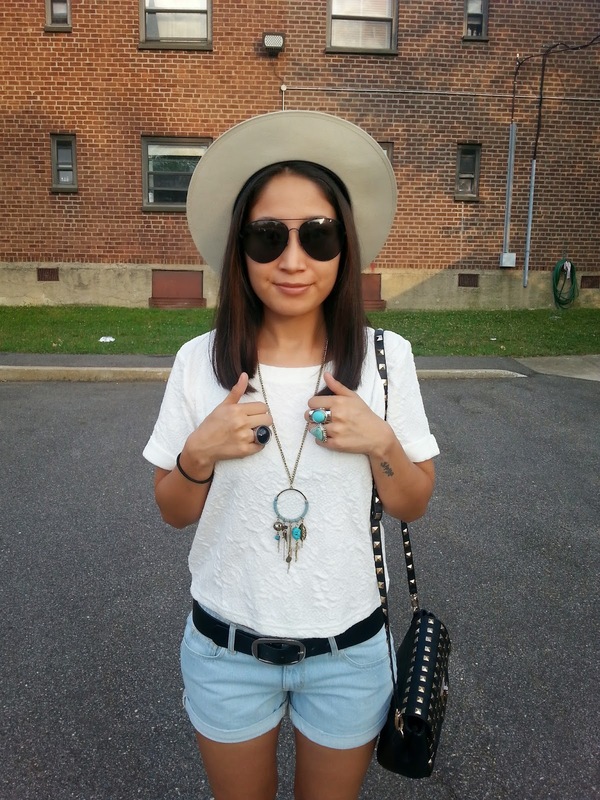 Love your simple casual style. 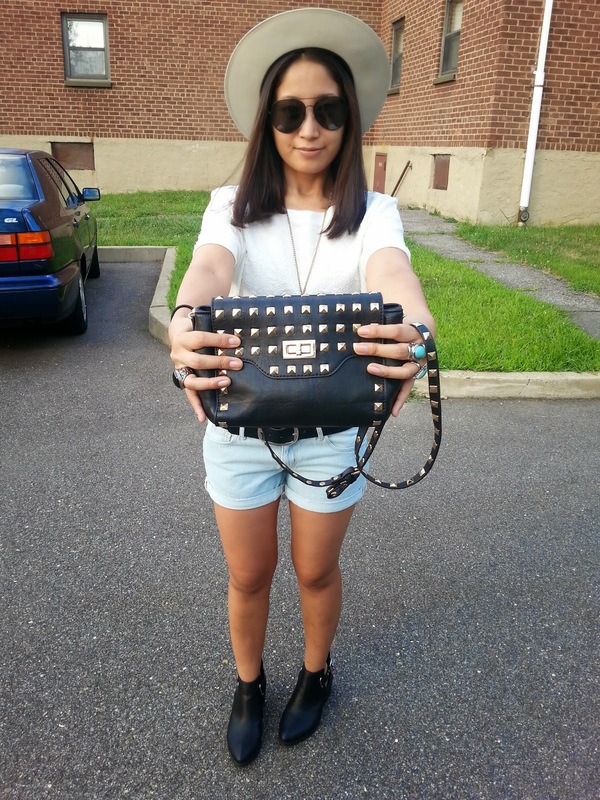 Oh, I've got to say you look really chic.That hat and studded black cross body bag are awesome, nice finds! Besides, those snapshots are so lovely) You have wonderful taste in clothes, keep it up! Just started to follow you with GFC, hope you can follow me back;) Let's keep in touch! I love your outfitt! !very chic!! so fab and stylish! great job! love the studded bag dear say would you like to follow each other? New outfit post pls. shoot me some of your opinions on how to improve my blog. I love that studded bag, it's so cute and edgy! And the top is so gorgeous too. love how u created this outfit, very well balanced! Love this casual look! Shoes and bag are amazing! Oh very cute outfit, I love it the bag! Now i´m following you in GFC #311 I hope your follow me back! Oo Simple yet extremely cute outfit specially those shoes and hat. I really admire the way accessorize your outfits. 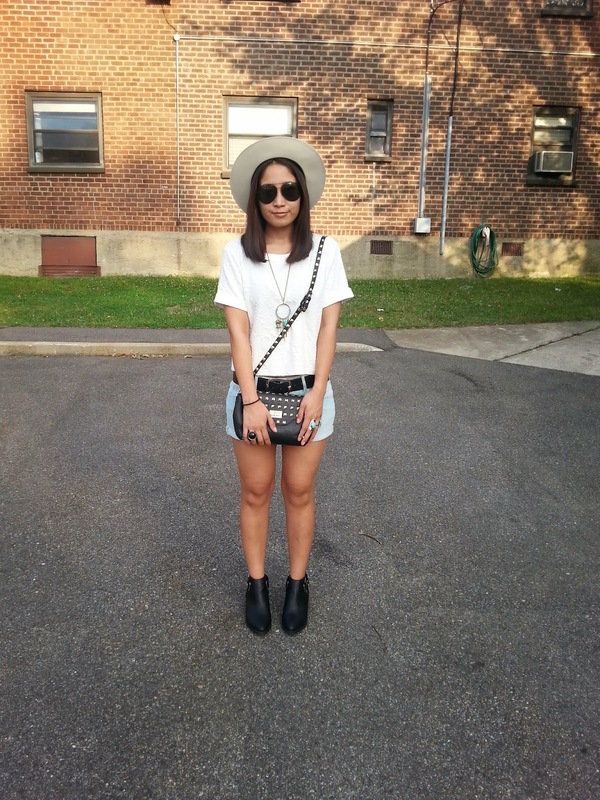 Cute outfit with the cutoff booties and the hat. Like your outfit, it's very cool! You look super cute here! I love the boots!!! Following you.. 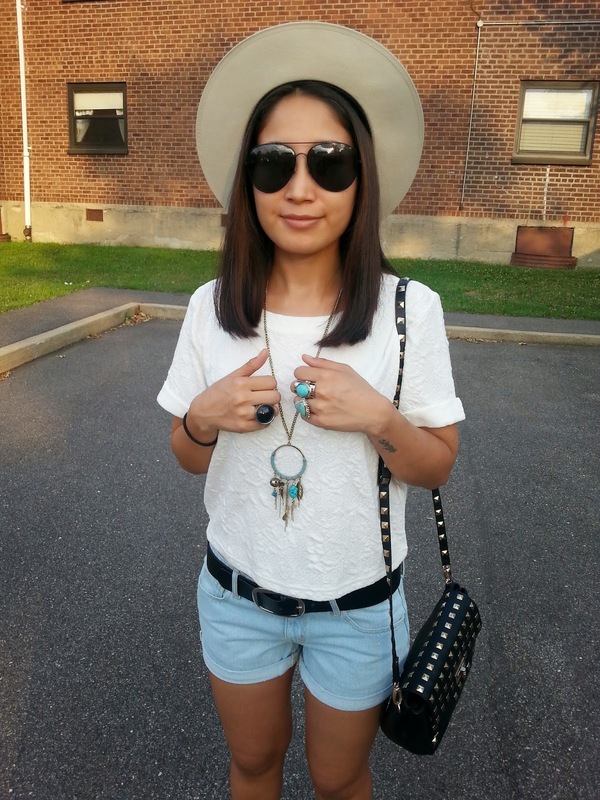 Cute accessories, but I'm in love with your boots and hat!! 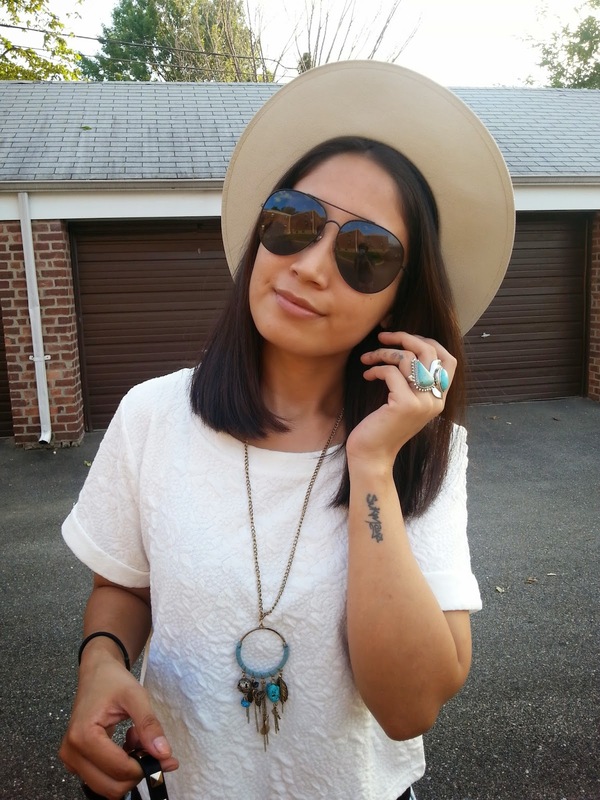 I love this boho look on you!